After Anthem Protests, What Does U.S. Flag Stand For? This past weekend’s headlines were largely dominated by President Trump’s criticism of NFL players who kneel for the national anthem, and the players’ response of protesting during the anthem. Throughout the weekend, hundreds of football players kneeled or stayed in the locker room during the playing of the “Star-Spangled Banner.” Just why are these athletes protesting? The roots of the movement are tied to Colin Kaepernick, the first NFL player to protest, who justified his actions by saying, “I am not going to stand up to show pride in a flag for a country that oppresses black people and people of color.” Just what does our flag stand for? One only has to look at the Pledge of Allegiance, which says our flag represents “the Republic for which it stands, one Nation under God, indivisible, with liberty and justice for all.” Our flag doesn't stand for oppression, it stands for the equality of all people. One can also look at the reasons our nation was founded for answers. The Declaration of Independence states that “all men are created equal, that they are endowed by their Creator with certain unalienable Rights, that among these are Life, Liberty, and the pursuit of Happiness.” It goes on to say that when a government has ceased to protect these rights, “it is the Right of the People to alter or abolish it.” Our nation was not founded on racist lies, but rather on the principle that we are created equal by God. 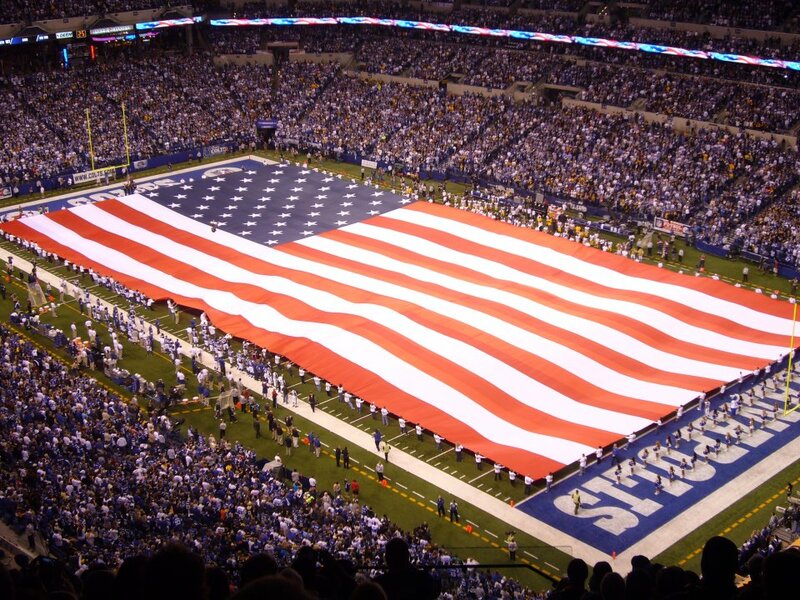 Our flag stands for the liberty and freedom of all people. Refusing to stand for the “Star-Spangled Banner” shows incredible disrespect for our flag and the brave men and women who have died defending it. I could not agree more with U.S. Senator Joe Manchin, a Democrat from West Virginia, who said that it is our “patriotic duty” to stand for the national anthem. “The owners of these football teams have to step in and say, ‘I'm not gonna tolerate it,’” Manchin added. Let’s remember the Creator Who designed us equally, the principles we were founded on, and those who have bled and died to defend those principles. Those who serve our country deserve better than a knee from rich, spoiled athletes. Our armed forces have valiantly stood for our nation, and the least we can do is stand and salute them during our national anthem. Learn more about your Constitution with Mason Chandler and the Institute on the Constitution and receive your free gift.